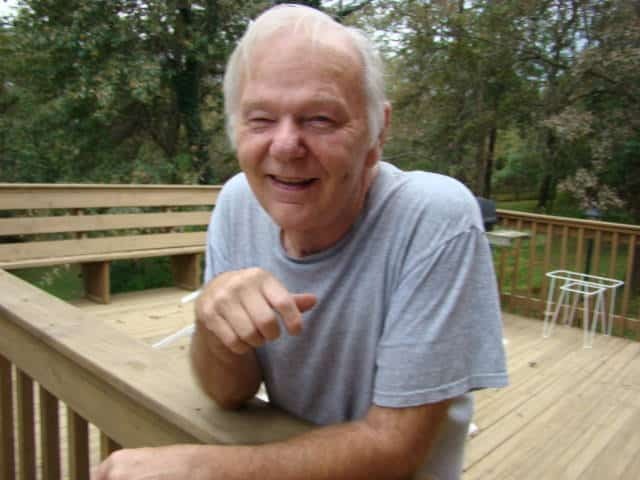 Thomas D. Willoughby, 73 of Lone Jack, MO passed away October 11, 2014 surrounded by his loving family. Tom was a loving son, husband, father, brother and friend. Tom had many talents over the years, worked as a sign installer for ABC Sign, owned a camper business, Internet Service Provider business and also worked at Lowes. Tom enjoyed woodworking, Nascar, computers, technology, fireworks, hostess cupcakes and especially spending time with his family. He had a wonderful sense of humor, was a generous man and overall true gentleman. Visitation will be 1:00-2:00 p.m. Saturday October 18, 2014 at Royer Funeral Home, Oak Grove, MO. Memorial service will follow at 2:00 p.m. at the funeral home. Healgrief has a memorial to share with you. https://healgrief.org/thomas-willoughby/ We invite you to express condolences, share special memories and photos and light virtual candles to honor and celebrate the life of our loved one. We also invite you to share this with others who may want to be notified as well. You may do so by sharing the link or by clicking the “Share this Memorial” button from within the memorial itself.